Nothing says summer like pie. Add lemon to the title and I’m a goner. 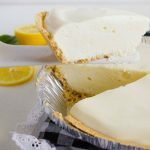 This Refrigerator Lemon Pie is 5 star worthy- you’ll make it again and again! 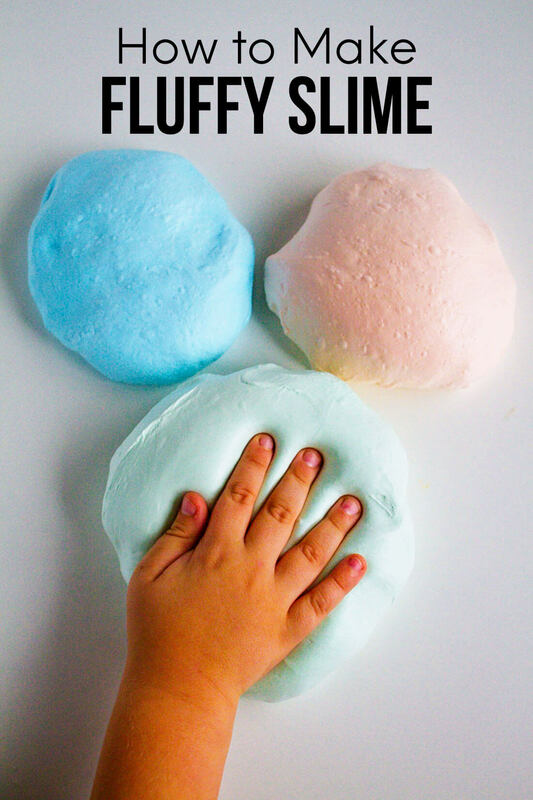 This recipe was originally shared by Lara from Less Cake, More Frosting for Funner in the Summer. Summer, summer, summer time! I look forward all year to peaches, watermelons, berries and all things lemon. I’m not much of a chocolate fan but give me anything fruity and I’m in heaven. 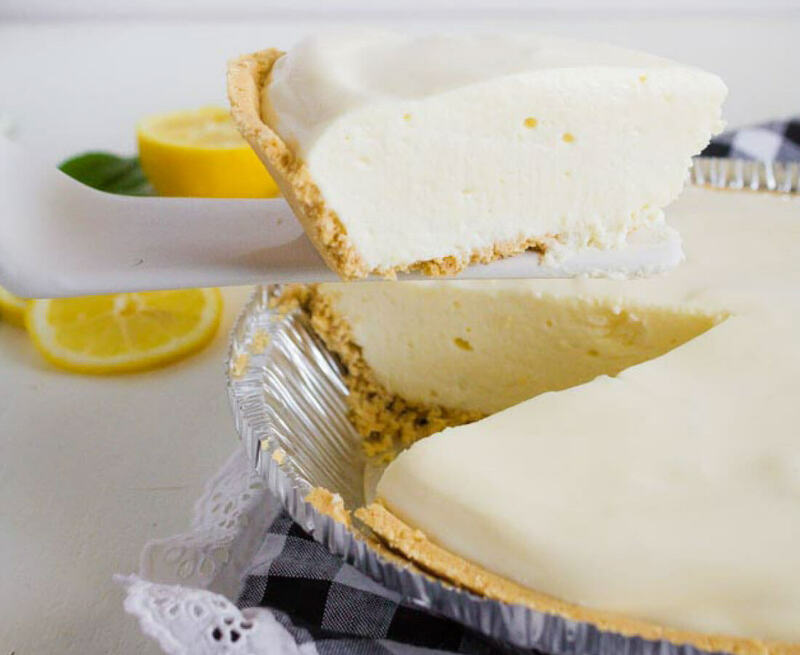 This cool lemon pie recipe is one that can’t be beat. 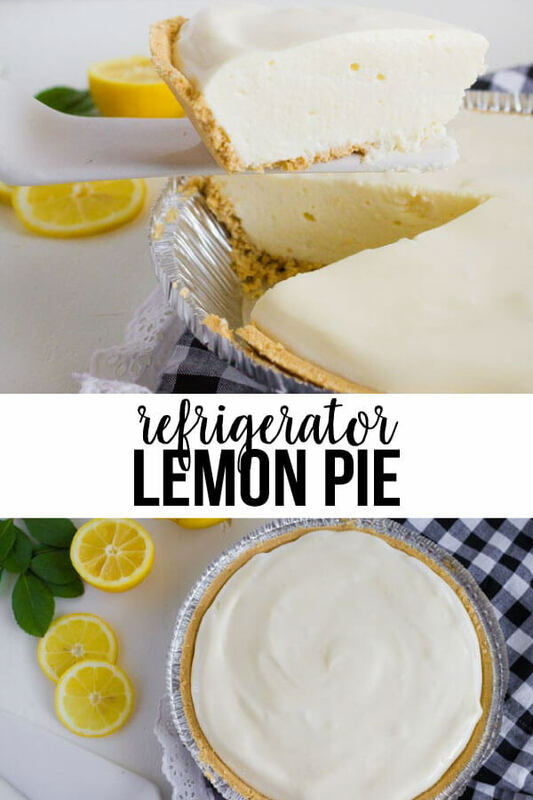 With fresh lemons and a graham cracker crust, it’s so refreshing! Depending on how much time you have an energy you want to put into it, you can do all from scratch or use a pre-made graham cracker crust and lemon concentrate. There’s something satisfying about squeezing lemons though – so it might be worth it to do that step! I love that this lemon pie sits in the fridge until it’s nice and cool, making it perfect for a hot day. We get into the 100’s in my area over the summer and this recipe cools me right off. Nothing says summer like pie. Add lemon to the title and I'm a goner. 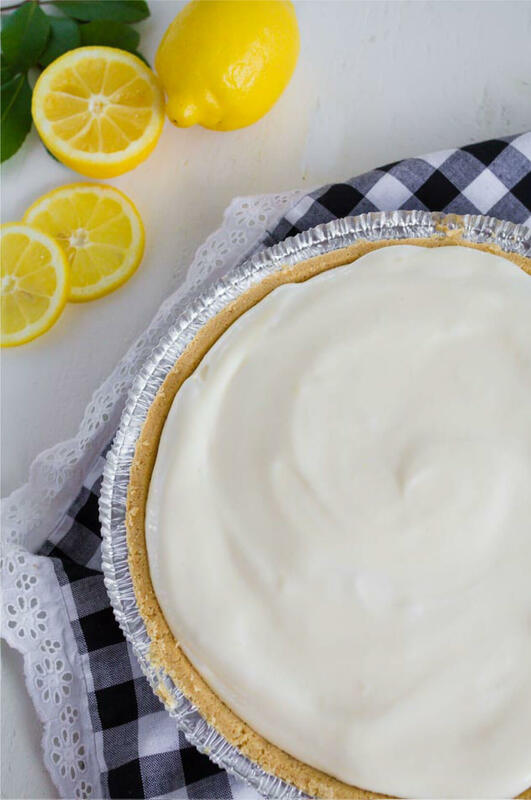 This Refrigerator Lemon Pie is 5 Star worthy - You'll make it again and again! Start by crushing up 1 cup of Graham Crackers (I just pulse them in a food processor). Then add ⅓ cup melted butter. In a saucepan mix ½ cup lemon juice and 1 ½ teaspoon unflavored gelatin (this is found in the Jello aisle in most grocery stores). Mix over low heat until the gelatin is dissolved. Whip the egg whites until stiff peaks form. Add 3 Tablespoons sugar and beat again until shiny. Separately, mix the yolks with 1 can Sweetened Condensed Milk. Slowly stir in the gelatin mixture (from the stove) with the yolk and milk mixture. Add the egg white mixture to the yolk mixture and fold together with a large spoon until incorporated. Add the whipped mixture into the cracker crust and smooth until evenly distributed. Chill the pie for 2-3 hours before serving to allow gelatin to set. What reminds you of summer? Do you like lemon as much as I do? looks delicious but i have great difficulty separating an egg, so i probably won’t make the pie. Made this this afternoon for my daughters 18th birthday. She loves lemon, but is not a fan of cake. Added the zest of two lemons and the filling is wonderfully lemony. It’s beautiful and can’t wait for dessert. I suspect we will be making it again in two weeks for her graduation party. This looks absolutely delicious! I think I will try it out…even though I have an utter lack of ability with citrus dishes. Yum-O! I love all things Lemon! It looks so good! Great recipe Lara! This sounds absolutely delicious for summer. Yum! My kind of summer time recipe!! sounds delicious! That pie looks SOOO good!! 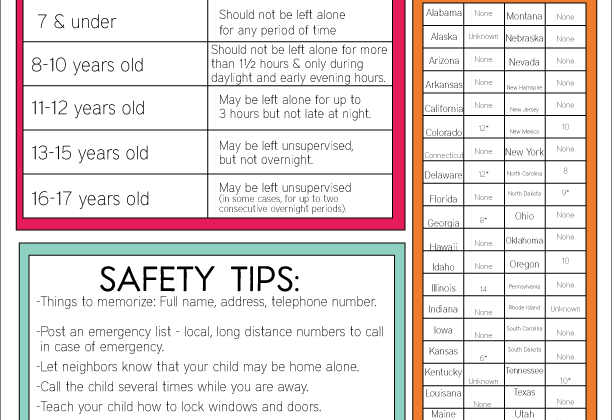 I am bookmarking it to make this summer. Thanks for the great recipe and tutorial. I love seeing two of my favorite people together!! Love you guys!! YUM! Looks so refreshing and summery! I need me some of that yummy goodness right now…for breakfast! Love that Lara!